Oppo head of marketing, Michael Tran, speaking at the company's Australian launch. 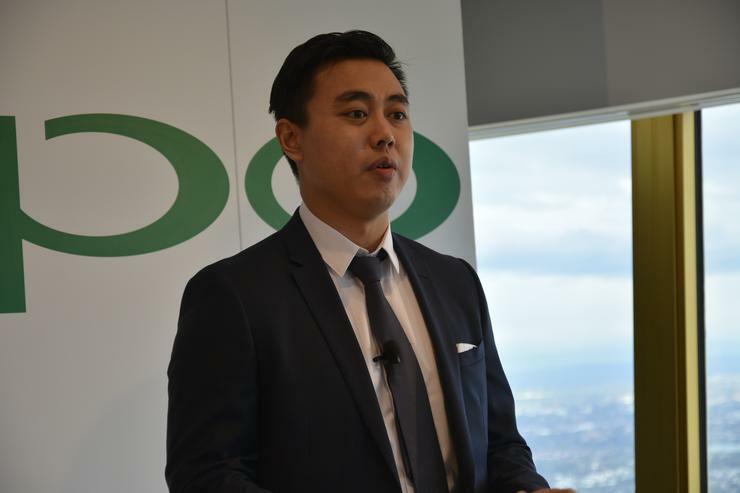 Oppo Mobile stepped foot into the Western world on September 2 with a soft launch in Sydney, Australia, and as stated by its head of marketing, Michael Tran, it intends to be “known as a leader in manufacture” through innovation. How it intends to achieve this is in part concrete, but mostly still in the works. We know the starting point - an online store with a local domain which stocks four mobile phones (the Find 7, Find 7a, N1 mini, and Neo 5) and a promise of “many more" in the coming year. This is accompanied by a repair centre in Macquarie Park which is already operational. It is servicing new customers who purchase phones via Oppo’s Australian web site, as well as existing users who bought a smartphone from overseas prior to its local availability. Oppo is also exploring options for a call centre within Australia, contactable at 1300-00-OPPO (all zeros except in the brand’s name) once it is launched. It could not yet provide details of a possible location, nor did it specify its expected staff count. These resources are part of Oppo’s goal to have “every channel to keep in touch with customers” and will be joined by a social media push, according to brand manager, Andy Shi. It’s an optimistic start by China’s fourth largest smartphone company. Shi revealed that Oppo is in talks with a number of Australian telecommunications providers. While unable to name targets, he said the company will be selective. From a marketing standpoint, Oppo is currently assessing the best means of advertising due to the difference between its home region and the Western market. The company has traditionally pursued television advertising heavily, and thrown funding at sporting events, music festivals, and public advertising (throughout train stations, for example). A hands on with Oppo’s flagship Find 7 smartphone can be found here. Stay tuned to Good Gear Guide for full reviews of Oppo’s Find 7 and N1 mini devices.